COMMENT: Tastes like mushrooms! Eat young leafs and green seed heads (raw or cooked). Dry leaves for year-around use or to cook more easily. Old leafs do not break down easily, even after extensive boiling. 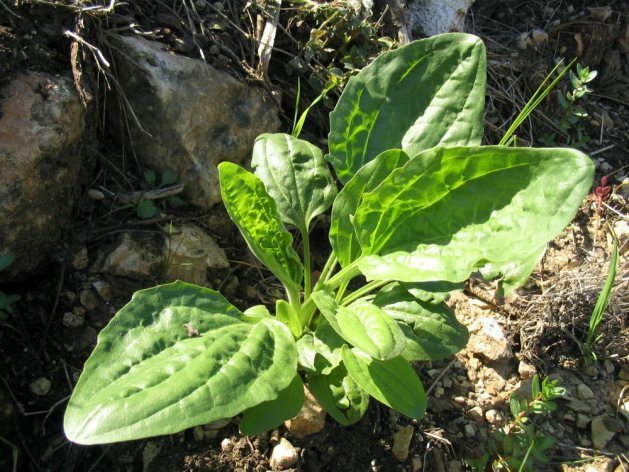 CAUTION: For those on blood thinners, plaintain is a coagulant and can dry out the skin. It is a blood coagulant, useful for abrasions outside and inside of the body, but not to use internally for those who need blood thinners.